Here’s a recent job carried out on a silver Honda Accord in Mosman Park. First You See It…..Then You Don’t ! 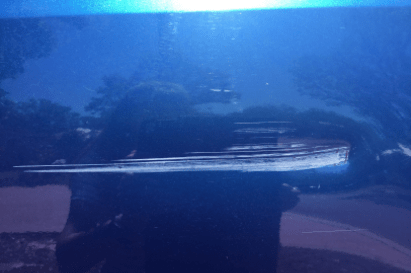 This blue Honda Euro had a nasty dent in it’s rear door. We removed the dent, repaired & painted. End result? …. Back to factory specifications! 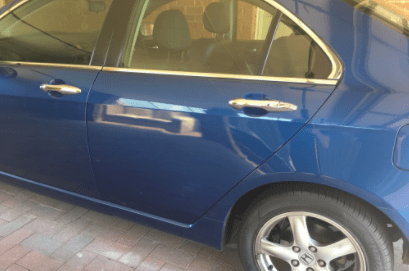 Car Clinic is a fully mobile car repair service that comes to you offering scratch, paint & bumper repairs in Perth, as well as repairing chips, scuffs, wheel alloys and minor panel damage. We can rectify damage to your car, caravan, motorcycle or boat! A trip to the body shop is generally an expensive, inconvenient and time-consuming prospect. With a flexible mobile service that comes to you, these problems are eliminated saving you hassle, time…and money! Here’s a HUGE job Dan completed on a white Holden Colorado! Now like new again, great work Dan! Private or Fleet Repairs, Car Clinic Have You Covered! This Ford G6e Turbo In Black Pearl Had It All Done!